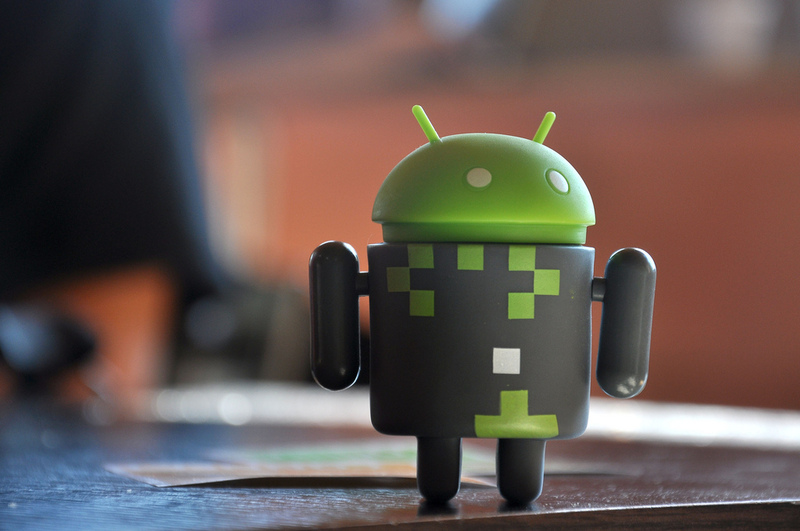 Android continues to dominate China’s growing smartphone market, as devices built on the Google-owned platform rocketed up to account for 55.4 percent of all active smartphones during the first quarter of 2012, up from 47.3 percent in the final quarter of 2011. The figures, from an iiMedia report [Chinese], show that Android has continued to develop faster than the competition in China, although iOS made a small gain, increasing its share from 11.7 percent to 12.4 percent. The Apple platform is actually behind Nokia’s Symbian system, but the ageing platform continues its downward spiral in China, where its industry-wide representation dropped from 32.3 percent in Q4 2011 to 25.6 percent over the two quarters. Given that Microsoft’s Windows Phone 7 platform wasn’t even unveiled in China until May, we presume that the 2.4 percent attributed to the platform reflects ownership of Windows Mobile devices in the country. 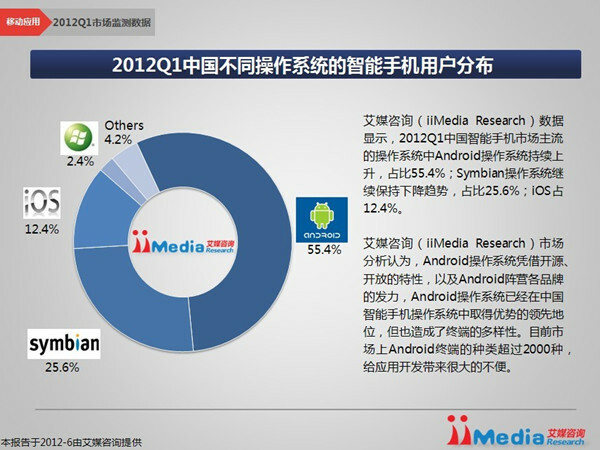 Like Symbian, it is falling, and accounted for 3.1 percent at the close of 2011. It’s worth noting that this small matter of timing didn’t stop Microsoft’s head of China reportedly claiming that the platform had overtaken iOS – something the company didn’t back up with raw figures when we pressed it on the matter. iiMedia also reveals that the number of active smartphones in China has now reached 252 million devices which, combined with Web-enabled feature phones, gives the country a total of 372 million mobile Web users. While, on face value, Apple’s hold in the market is niche, a 12.4 percent share represents decent traction considering that its range of products is comparatively narrow, when compared to the multiple price-points, device manufacturers and operators that Android covers. Indeed, the report estimates that Android’s diversity in China means there are more than 2,000 different devices running the operating system. An increasing number of these variants come from third-parties, like Baidu and Alibaba which have developed their own forked Android platforms specifically for building affordable smartphones in China. Apple still has potential to broaden its reach and it remains negotiations with China Mobile over a deal to offer the iPhone to its subscribers, which number more than 650 million, when the two can overcome the 3G-compatibility issues. Apple’s chief rival Samsung has, for its part, released the Galaxy S3 device in China on June 8, but the company — and Android’s — appeal in China resides in its ability to offer a varied range of affordable devices, alongside its flagship phones. As a report from Canalys speculated today, mid- and low-range devices are becoming increasingly important in China. The analyst firm predicts that 40 percent of all smartphones in the country will be priced below $200 by 2015. An analysis of sales last year revealed that, during the final quarter of 2011, Android phones accounted for 68.4 percent of new smartphones, up from 33.6 percent in the first quarter of the year. Comparatively, the share of iOS rose from 4.1 percent to 5.7 percent, according to data from iResearch. The growth of Android is helping smartphone ownership rise, but it is also providing issues for developers, as paid-for Android apps do not exist in China and most phone owners download them from third-party stores. Apple, on other hand, has embraced local payments and runs a localised App Store in China.